As John approached the intake bay for his shift, he wondered how the day was going to go. Yesterday milk was an adventure after an issue with the plant. There was no way to know if they were going to be slammed with trucks all day, or if the diverted milk had found a home. As he came through the door, he looked up at a screen resembling an airport arrival / departure board to see how the day was proceeding. Much to his surprise, everything seemed normal. He could see five trucks onsite, currently two unloading, one in the wash bay, and four more in transit over the next three hours. This scenario: real time data on individual trucks, updated process flows, estimated time of arrivals on trucks in route, would have seemed like a fairy-tale just a few years ago. In reality, the pieces are already in place for this system. Just like when you arrive at an airport and check-in, go through security, check your flight schedule and scan your boarding pass, dairy liquids (milk, cream, UF, etc.) can be tracked in any stage throughout the plant. Over the last several years, DSI has invested heavily on tying together the entire procurement chain. Schedules are created for all incoming liquids. Orders are put in for incoming or outgoing dairy liquids. Haulers have phones that can talk to the systems in real- time. They all combine to create the most advanced milk intake system available; ensuring more accurate information, reducing data entry, and establishing better traceability and food safety throughout the entire process. Just like airlines release schedules in advance, the milk scheduling and dispatcher sets a schedule in advance (most customers are weekly) with the producer routes designed to automatically flow into the plant(s) or to customer locations, and then the trucks move in coordination with the schedule. DSI’s DairyHauler phone application allows the hauler to start a route and capture the pickup data in real time – showing when the route is complete and on its way to the plant for delivery. It also validates farm information to make sure that the milk manifest data is not only present, but accurate. This real-time integration ensures accuracy on the route, rather than having to change ticket data later. It also allows the schedule to update at the plant, showing the inbound load and the estimated time of arrival for that particular truck – just like checking the arrival/departure screens at an airport. The truck’s trip from the individual farms is only half of the story. Upon arrival, the truck can be prompted for a route specific security code generated with the schedule to open a gate (if applicable) and receive a unique identifier to allow tracking of the truck during the unloading process. The individual delivery can be followed from its arrival, through testing, scaling or metering, delivery into a specific bay, unloading into a specific silo, truck wash, and out the door. This process and data capture ensures not only silo level traceability, but also enforces elements of FSMA and SQF best practices, creating a fully electronic log of the trucks whereabouts during delivery. The data allows customers to take a wider look at their delivery process to avoid wait time charges from their haulers, identify areas of improvement in either process or scheduling, and eliminate dependency on data entry during and after intake. The power of this type of system is in both the data and real-time information to make decisions – the scheduler can see what’s happening within minutes of real time to react to plant operations, an opportunity to buy cheap loads due to a neighboring plant’s status, be alerted to warm milk, or see that there is a backlog of trucks at a particular location – just like an air traffic controller at an airport. 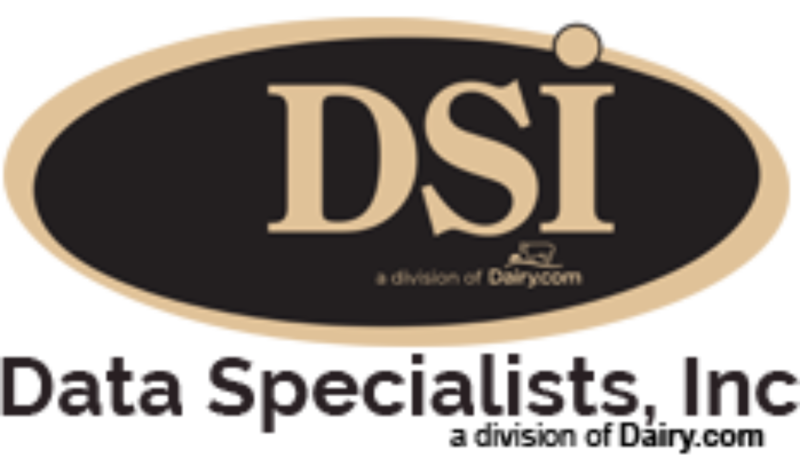 2018 promises to push this system even further, with DSI announcing the DairyHauler program will be released on the Android mobile platform in the first quarter. Between iOS (Apple) and Android (Google), DSI’s application will be available on over 90% of consumer smartphones. . Taking the concept even further, DSI will be announcing an addition to the procurement suite in the second half of 2018 to allow for farm level inventory – taking milk procurement further down the supply chain than ever before.